This guest blog post is written by Matt Aaron. Matt is the outreach coordinator at The Clearing, SPC where he helps spread the word about healing underlying core issues in dual diagnosis addiction treatment. He is an avid reader whose favorite author is John Fante. Fluent in 3 languages, Matt loves to travel. 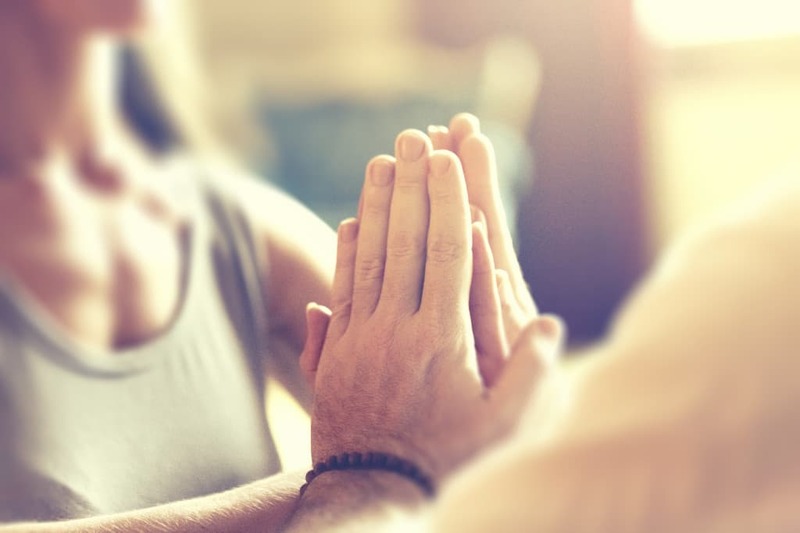 In recovery programs based around the principles of conventional psychology, participants learn techniques that facilitate healing on the physical, mental, and emotional levels. They learn about habit loops, triggering thoughts, and volatile emotions, but the process stops there. This three-tiered approach is helpful, but it’s also incomplete. Why? Because there are actually four levels of self: physical, mental, emotional, and spiritual. There’s a lack of balance that results when treatment programs don’t integrate the spiritual level. People feel as though something is missing, though they can’t quite articulate what that missing piece of the puzzle looks like. Yet, when you integrate spirituality into your recovery process, you stabilize your foundation and promote positive, lasting change. Tip #1: Discard narrow, destructive, pseudo-spiritual concepts. When you hear the word “spirituality,”what associations come to mind? Many people have an outmoded, even harmful concept of what spirituality means. If that’s true for you, maybe it’s time to clean out your mental closet and discard old, ill-fitting definitions of spirituality. On its most fundamental level, spirituality means a connection to something greater than oneself. It’s not limited to a single religion, church group, or belief system. Rather, it’s a larger quest for purpose that encompasses a wide range of perspectives. Tip #2: Embrace a broader, more holistic version of spirituality. Do you think about a particular set of religious practices such as bowing, chanting, or meditating…habits that seem entirely foreign to you? Do you think that a spiritual practice requires a lot of effort, or that it’s something that only “good” people do? Popular culture tends to promote the idea that there are only a few “right ways” to be spiritual, but seekers from all times and places tell us that there are infinite pathways to Spirit. You can find God (or the Universe, or whatever you’d like to call your Higher Power) in church, but you can also find God in a beautiful garden, a true friendship, or a delicious meal. Tip #3: Consider the possibility that you can be spiritual and also be yourself. Perhaps you believe that embracing a spiritual mindset would necessitate changing everything about yourself. Many religious groups teach that being a spiritual person requires a total personality overhaul. They promote endless striving and subtle self-loathing under the guise of “becoming more spiritual”. If you associate spirituality with this type of self-destructive behavior, it’s no wonder you’d run in the opposite direction! Today, ponder a different possibility. Imagine what it would be like to connect with the spiritual component of your nature while remaining true to yourself. Some believe that spiritual people glide through life without emotion, never feeling anger or grief, but others find that embracing their spirituality doesn’t mean shedding their humanity. In short, living a spiritual life means connecting with a power greater than yourself…not overhauling your innate temperament! Tip #4: Let go of paranoia and experiment with “pronoia” instead. Human understanding is limited and subjective by nature. This means that as humans, we’re constantly telling ourselves stories about the events of our lives…and these stories matter, because often they shape our perceptions for years to come. When something painful happens, we can choose to believe that the universe is out to get us … or we can decide that the universe is on our side, that even the most difficult events will ultimately help us become who we are meant to be. Of course, you’re welcome to remain in a paranoid place if you choose…but you’ll likely find that pronoia is better for your physical health. Tip #5: Notice the connection between your emotions and your physical health. One of the most exciting scientific discoveries of the modern age is the link between emotions and physical health. We now know that our emotional states have a profound impact on our bodies. Conversely, when we feel joyful, aligned, and purposeful, our bodies thrive. When we connect to a power greater than ourselves, we are empowered to let go of shame and guilt and improve our physical well being at the same time. Cultivating spiritual purpose and emotional health isn’t a luxury, but rather an essential component of self-care.